This square CUBO 50 plastic plant pot will make for a verdant highlight in your living room, on your patio or by an entrance. Its cube shape and generous proportions of 50x50cm makes this plastic CUBO plant pot compatible with a wide range of decorating styles. 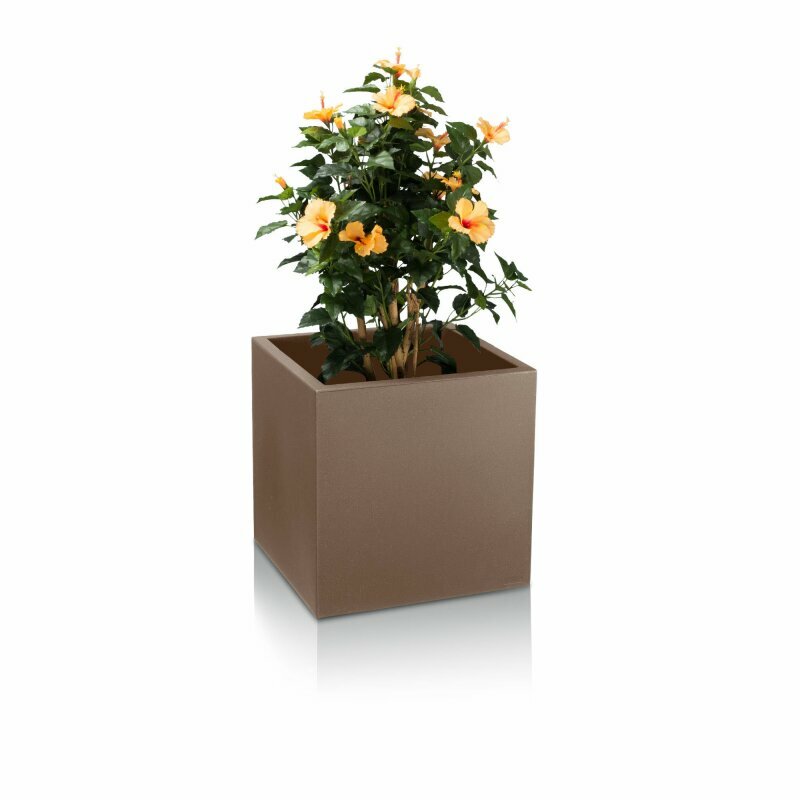 All plastic CUBO flower pots are manufactured using the rotational moulding process, which entails the heating of plastic granules which are then poured into a mould and rotated to distribute the plastic around the mould. 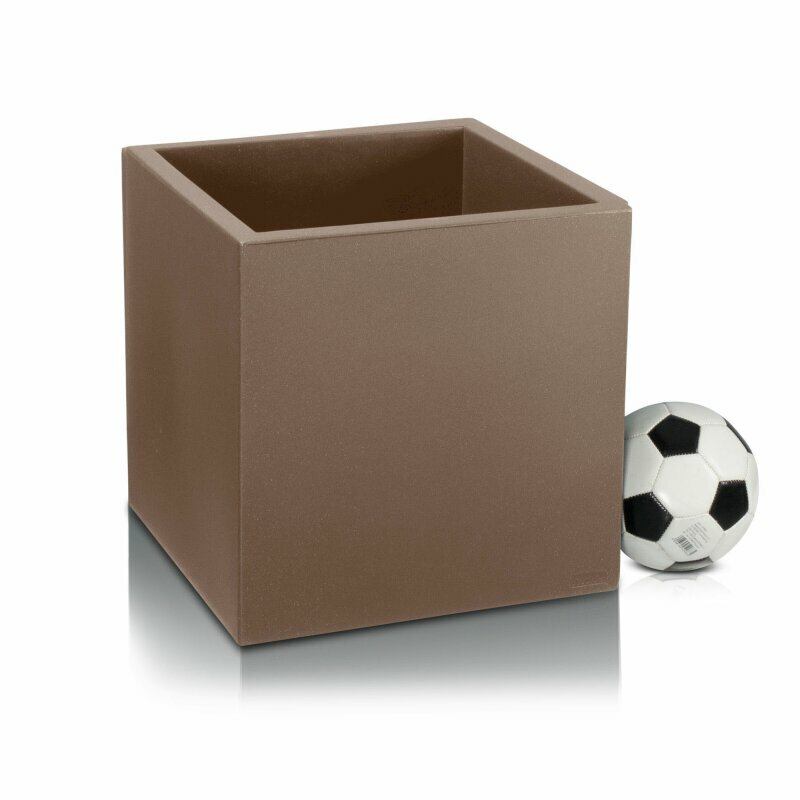 By using UV-resistant plastic granules we can also ensure that CUBO flower pots can be exposed to direct sunlight in outdoor settings. 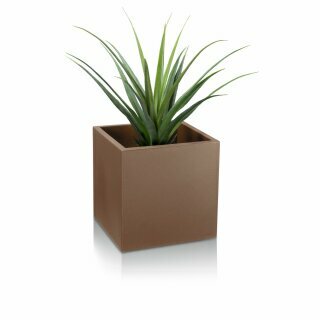 Visually, these plant pots made from rotationally-moulded polyethylene are barely distinguishable from ones made from natural materials such as stone. 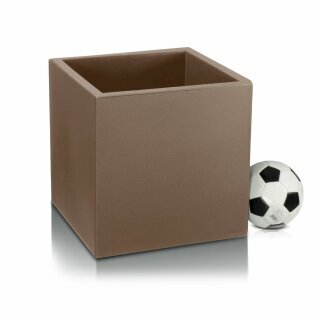 The rough surface does not appear artificial and closely resembles a natural surface such as stone. 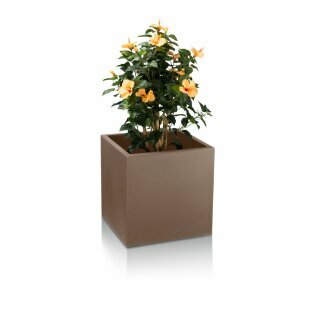 CUBO plastic plant pots are made in Germany using high-quality raw materials to ensure UV resistance, so you can place them where you like - indoors or outside. 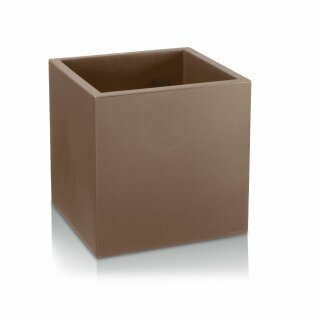 When using outdoors, a hole should be drilled in the bottom of the container to prevent waterlogging.